If you own a semi detached house and you are considering building an extension then you may need planning permission and a building warrant depending on what your requirements are. Without the necessary permission it could end up that you have to demolish the extension. 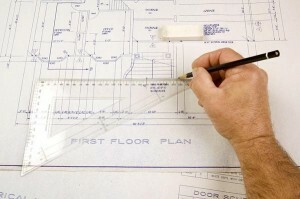 At Archi Plan Glasgow, we can provide semi detached extension plans for homeowners in Strathaven. We have been doing plans for extensions for several years now and have a reputation for the first-class service that we deliver to each and every customer in Strathaven. We charge competitive prices for our plans, prior to any plans being drawn we will arrange to come out to your home to discuss your requirements and to give you a free quote. At this point you will be able to ask us any questions that you may have and if you are happy to go ahead then we can start the process. For us to be able to start any semi detached extension plans, we must be able to have access to your property. We will discuss your requirements and will take down some measurements of your home, we will then get to work using our CAD facilities to make accurate drawings. To arrange for us to come out to your home in Strathaven to discuss this service and/or to give you a free quote then just give us a call today on 0800 520 0347 or you can email us at: admin@archiplanglasgow.com.